This list will ready your bucket list this summer 2019. Can you feel the summer heat already? We’re sure electricity bills will double beginning this month until May. But, why would you double your expenses while being stuck in your house? Here’s some advice, head someplace relaxing and get a dose of that #vitaminsea you deserve. Now we’re talking, huh? Before we proceed, we need to tell you that some of our most favorite beaches aren’t on this list. We know some of you are expecting Urbiztondo, La Union or Baler, Aurora to be included here. However, we think most of you already know them and expect to find a crowded shore by the time you get there. We went by choosing the ones that we think wont get too crowded and busy so that you can have a more relaxing stay. 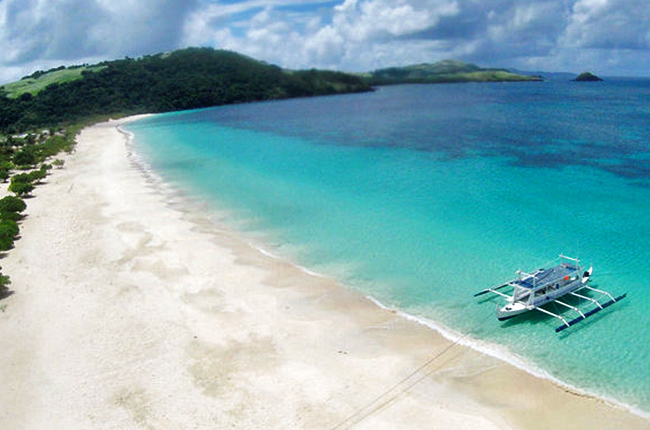 Let’s begin, here are eight relaxing beaches that are reachable by land. Located only four hours from Manila, Laiya does get busy during peak season. However, there are various options to stay when you’re in Laiya. Also, the sea in San Juan Batangas is the calm type, which is an advantage as you’re unlikely to get hit by a surfboard while you’re trying to bathe in salt water. Driving to Laiya, Batangas is very easy; just follow the South Luzon Expressway and STAR Toll and exit to Ibaan. It’s easily pinned on Waze so you can just follow the directions as Waze calculates the fastest route leading to the destination. 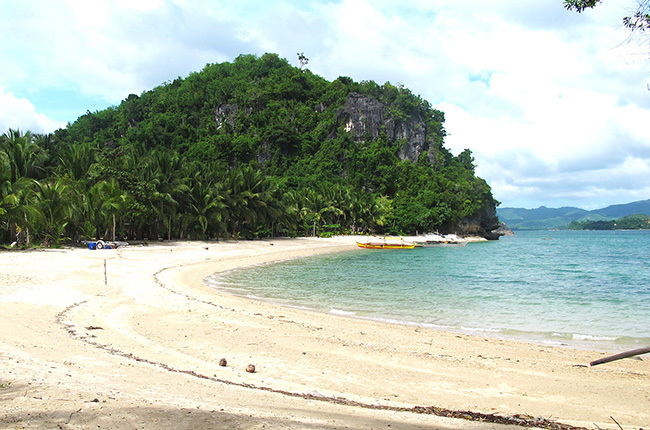 Enjoy the fine-sand beaches in Laiya and don’t forget to take as many pictures as you can. Want to go further down in Luzon? If you’re thinking about going for a much longer drive—say, at least nine hours of drive from the metro—then you might love the idea of the Bicol Region. If you are the surfing type, you may want to try visiting Daet which is considered to be the surfing capital of the region. From there, you’ll stumble upon the beauty of the Philippine Sea at Bagasbas Beach. Learn from certified surfer instructors for as low as P400 per hour. Daet belongs to the part of Bicol that you may reach by land. It’s a drive worth sharing with family, friends, or a loved one. We advise you to plan your stopovers ahead so there will be fewer inconveniences on your way there. Like the idea of Bicol but looking forward to a more hipster trip? You must be willing to drive longer than nine to 10 hours. Bring with you at least two friends who can drive so you can take turns. Going to Camarines Sur will add roughly 550 km on your odometer. You’ll be on the road for more than 13 hours and we all know that’s pretty tiring for one driver – unless you take a liter of energy drink, which is not advisable, to begin with. It may be a half-day drive but what you’re about to experience is more than worth it. Gota Village is a resort composed of small to duplex cottages made from wood. The setting of the resort is like a medieval village by the sea. 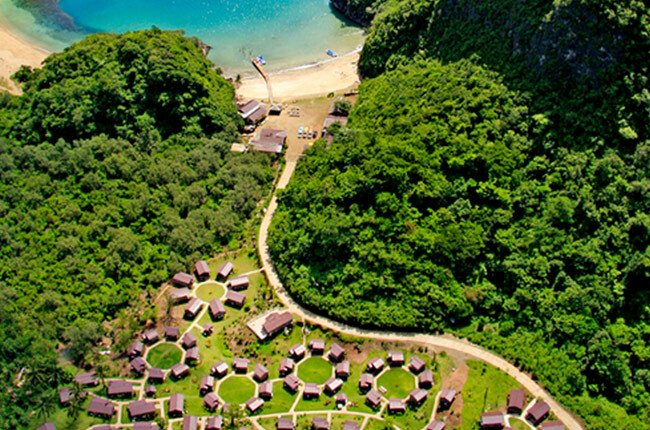 A few meters away from it is the clear sea of Caramoan Islands. Rates range from P3,700 to P18,000 depending on the size of the cottage. Changed your mind about going for a long drive to the south? Well then try Pagbilao Quezon, which is only a few hours farther than Laiya but way closer compared to Bicol. Travel time is between four and a half hours to five hours from Metro Manila depending on how many stopovers and side trips you plan on having. You may find Borawan crowded during the summer season but the short travel time and cost of expenses kind of make it past the average. And, since its Quezon, you have other options of paradise waiting for you so no problemo. It’s only 167 km from Metro Manila, which is way closer than Urbiztondo, La Union. 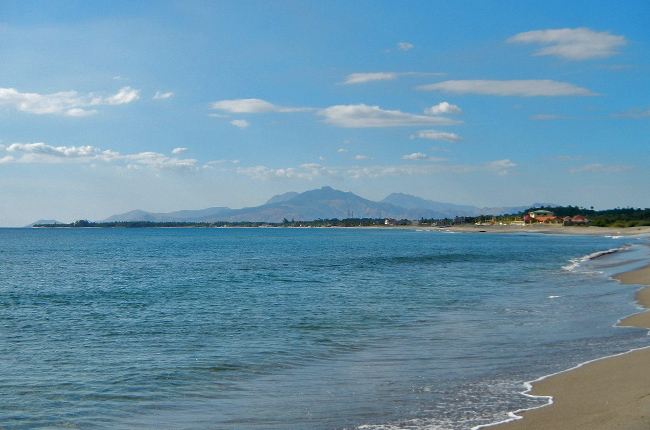 If you want something a little north of Luzon, Bataan is just a few hours from the metro. Morong, Bataan is a way to go if you don’t want a short drive to the beach. It’s a calm, peaceful, and quiet place that will let you relax and think about your life decisions (isn’t that a reason why you seek the sea?). There are a number of hotels and beachfront hotels to choose from. The affordable decent ones range from P2,000 to P6,000. Driving to it is pie-easy and you can go there with just your partner or a few pals. If you’re feeling like a one-day millionaire, you may also upgrade your trip and head further down the road to Bagac. There you can check in to the old-Philippines-inspired Las Casas Filipinas de Acuzar beach resort. 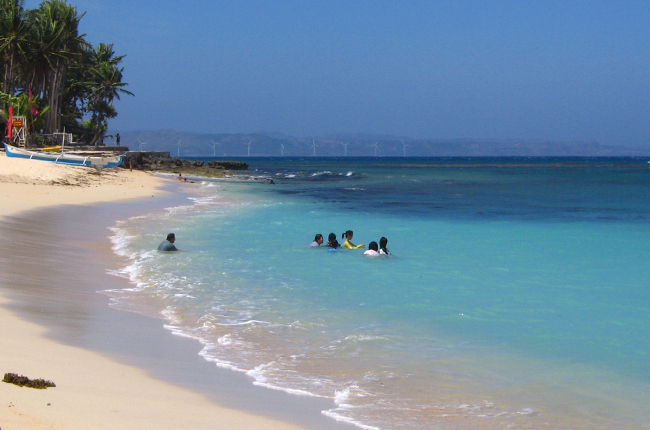 Pangasinan is one of the places to be as it offers pieces of paradise for you to check out. 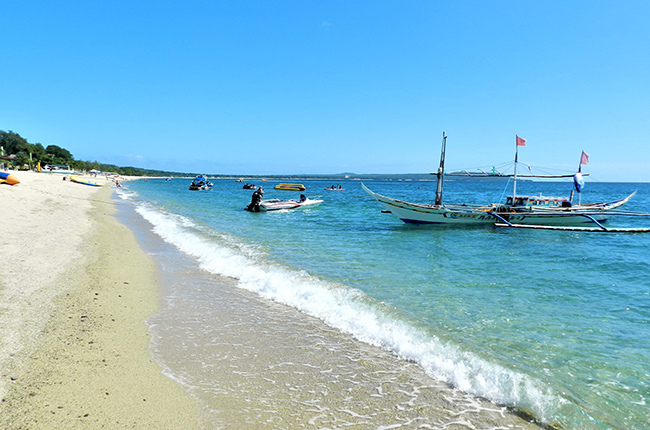 One place we recommend visiting is the Patar White Beach in Bolinao. This is a haven of white fine sand and pure beach-life experience. There are a few resorts with the air-conditioned room but if you want legit experience at the beach, pitching for tents, opting for huts, or cottages is one way to do it. Patar White Beach is 300 km away from Metro Manila. It’s a little far but two full-tank pumps are more than enough for the trip and back home. However, if you want more fun and activities involved, try the next destination. 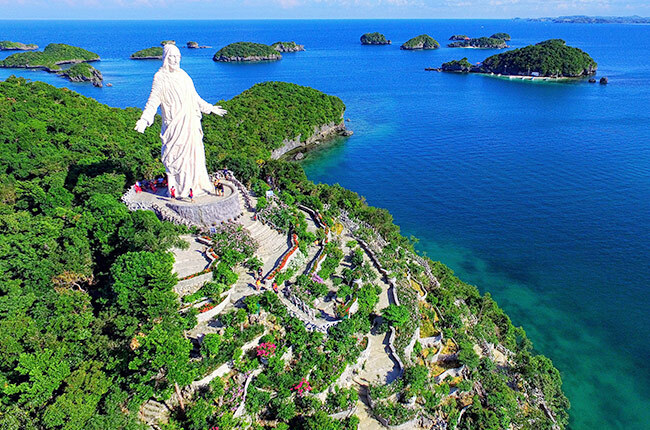 Hundred Islands, from the name itself, is composed of 123 islets of varying sizes. Embracing these beautifully scattered islets is a cerulean sea rich with different kinds of lifeforms. 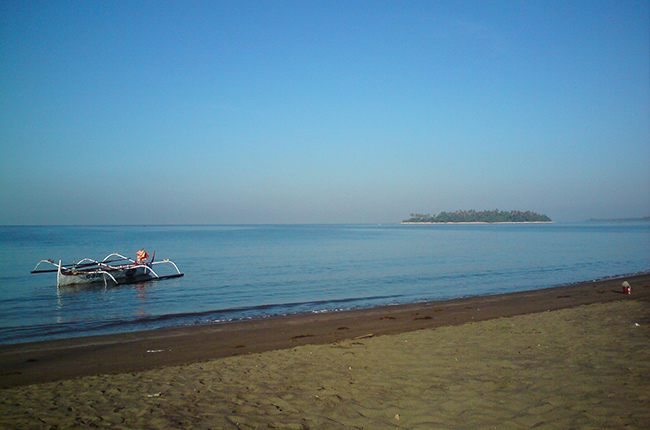 It is situated in Alaminos, Pangasinan, a known paradise to locals and visitors. There are a number of activities, such as kayaking, snorkeling, and picnicking – all for affordable price tags. Alaminos Pangasinan is 296 km away from Metro Manila. Driving straight to Hundred Islands, without pit stops, would take you more than six and a half hours on the road. Bathroom breaks at gasoline stations are not counted so expect more than that if you plan on doing stopovers. Since we’re already more than halfway talking about beaches in Luzon, there’s got to be a room for Zambales. This place holds gorgeous beaches with wonderful scenery. It’s five to six hours from the metro and you’ll never run out of choices once you’re in there. If you are after water sports like surfing, Liwliwa in San Felipe, Zambales offer good waves if you’re there in the right season. 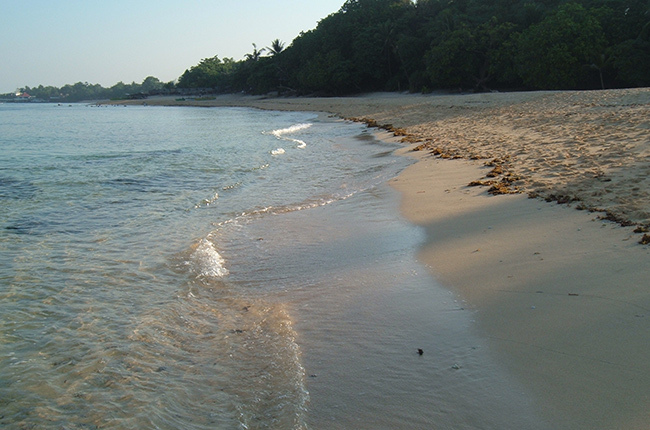 However, one beach we would like to recommend is Potipot Island. This paradise is perfect for those who seek a secluded place. It’s an islet in Candelaria, Zambales that’s going to give you a feeling and thrill of being a castaway – without actually being a real one. Of course, boats are on standby to fetch and bring visitors to and from the island. Time to learn to live like an islander, what do you think? If you’re not comfortable going south but likes to do a long drive for the summer, Pagudpud, Ilocos Norte is the place to be. It’s a 10-straight-hours of a drive from your comfort zone Metro Manila. Fun fact, it’s almost the tip of the island of Luzon you can access by land. Of course, there’s Batanes at the very top but that place requires boat or plane to access. Pagudpud is known for its serene beauty and simple way of life. Saud Beach offers Instagram-worthy accommodation and an exceptional beach-life experience. The sand is golden and fine, while activities include scuba, snorkeling, windsurfing, and pretty much anything your heart wishes for. If you’re going to visit these places, remember these few important personal rules to observe. If you’re in any town, even the ones not in this list, always respect the locals. Respect their way of life, respect their language, and most important thing of all, respect their home. Don’t litter and always abide by local regulations. Through this, we can help preserve these places for future generations of tourists, as well as help maintain the locals’ way of life. If you’re looking for car promos that would fit your budget’s limit, we have a list of deals with affordable monthly payments.